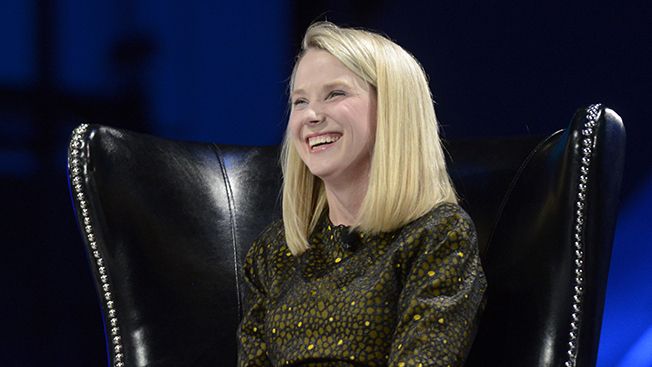 Marissa Mayer’s turnaround job at Yahoo looks farther off with its core ad business still in retreat. The company released earnings today that showed its display ad business generated $553 million in the fourth quarter, a 6 percent drop from the year-ago period. Search revenue also dropped 4 percent to $464 million. In all, revenue of $1.26 billion was down 6 percent year over year. Revenue in 2013 overall was down 6 percent to $4.68 billion. Mayer spoke with analysts after the earnings release and suggested any upturn in Yahoo’s business is still down the road. She seemed to be asking for some leeway from Wall Street, saying Yahoo’s true revival was always a project that could take years. The company has made acquisitions and deals to enliven its portfolio with young-skewing properties like Tumblr, but the earnings release did not detail any revenue impact it may have had. Earlier this month, Yahoo fired Henrique De Castro as its ads chief, and the sales decline shows why the overpaid executive parted ways with the company. He left with a potential windfall of $100 million, despite the clearly poor performance. Mayer brought De Castro over from Google, her former employer, and the executive move has become a stain on her short tenure as Yahoo CEO. The company is investing in key areas such as mobile video, a category that Mayer discussed today. One quarterly bright spot continued to buoy the rest of Yahoo: its investments in Alibaba, the Chinese e-commerce company, and Yahoo Japan. Yahoo owns nearly a quarter of the highly valued and profitable Alibaba, which will return more money to Yahoo shareholders once it goes public. Already most of Yahoo’s earnings come from its overseas investments—accounting for $222 million of its $351.7 million profits in the fourth quarter.